Return to the days that sparked the American Revolution! 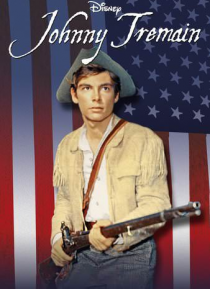 Meet young Johnny Tremain, a silversmith's apprentice with dreams of learning the trade and making his own way. When a terrible injury ends his hopes, he joins the emerging Sons Of Liberty. The Redcoats are coming as you journey back to the Boston Tea Party, the midnight ride of Paul Revere, and Lexington Green, where tyranny was vanquished … by an idea - freedom for all! Based on the classic novel by Esther Forbes, you won't want to miss one historic moment of Disney's classic adventure and liberty's rising light.